An abundance of recent studies confirm the opinions of health professionals that patients make better and more enduring improvements if they participate in a rehabilitation programme. According to Professor Tim Mc Donnell, the consultant respiratory physician and national clinical lead for chronic obstructive pulmonary disease (COPD ), “Pulmonary rehabilitation is a key component of management of patients with COPD and is well recognized to improve quality of life, shortness of breath, and exercise tolerance in patients with the disease. Unfortunately due to resource issues it is not widely available at present. Where it is available there are severe capacity issues”. The director of the Galway Chest Clinic, Dr. Hilary McLoughlin, consultant respiratory physician, has addressed this problem by launching the Breathe Freely programme. This is the second year of the Breath Freely programme which was originally launched in September of last year. Chronic lung disease is the third most commonly reported long term illness. There is a greater recognition among the medical community that the use of medication and inhalers is only part of the solution. Many people with serious lung diseases suffer from an increased shortness of breath due to inactivity and a lack of physical fitness. Repeated illnesses and hospital admissions cause a further reduction in fitness levels. The people who would benefit most from the course are those who suffer from poor fitness and severe respiratory difficulties. The Breathe Freely course will run for eight weeks from the beginning of October. Participants will meet with chartered physiotherapist Ruth Sharif and personal trainer Hugh O’Neill twice a week. Each session will last for two hours, beginning with an hour long talk from experts on topics such as nutrition, managing disability, anxiety management, motivation, and maximizing health potential. Participants will then spend an hour in a private gym area working through an individually tailor-made exercise programme based on international guidelines. “The results are clear from last year’s course”, says Ruth Sharif. “Patients had better health, better exercise capacity, and less anxiety and depression by the end of the course. Participants tend to enjoy the social aspect of the course also, and generally find it very helpful to meet up with people who have similar health problems to their own. The camaraderie which develops between them helps them to stay motivated and most participants continue to exercise daily at home”. 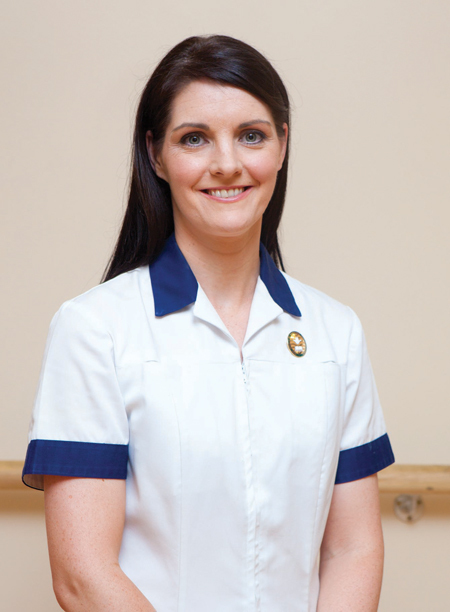 The Galway Chest Clinic was established by Dr Hilary McLoughlin in 2010. It is based at the Galway Clinic and at Bon Secours Hospital where it has access to the some of the best diagnostics, equipment, and consultants available. People interested in attending the Breathe Freely course should contact Anne-Marie Boyle at the Galway Chest Clinic on (091 ) 759949 or log on to www.galwaychestclinic.ie for more information. Facilities are available for wheelchair users.